As the NATO (North Atlantic Treaty Organization) and Western spheres of influence both edge towards the boundaries of the former Iron Curtain in Eastern Europe, a new front in the diplomatic battle to contain Russia and its Eastern allies – the West’s adversaries – has developed around the North Korean nuclear crisis. Russia’s vested interests in maintaining North Korea’s Kim regime have further complicated Moscow’s diplomatic relations with the West. The Democratic People’s Republic of Korea’s (DPRK’s) dictatorial Kim regime is effectively a feeble relic and product of Josef Stalin’s Soviet Russia. Soviet-North Korean relations date back to the DPRK’s political establishment in 1948, when Soviet general Terentii Shtykov recommended to Stalin the appointment of Kim Il-sung, who himself was a Major in the Soviet Army until the end of WWII, as the country’s first Premier. Until 1948, US forces had occupied South Korea, while the Soviet Civil Administration controlled the North, with the two states divided along the 38th parallel. Russia maintained its influence over the DPRK by strengthening economic cooperation with the Kim government, and by the latter half of the 20th century accounted for more than 53% of the DPRK’s foreign trade. By the early 1990s, Soviet-subsidized facilities produced 70% of the country’s electricity, while Soviet industrial specialists erected the North’s aluminum industry in its entirety. Russian involvement in North Korean economic and political relations froze almost entirely after the dissolution of the Soviet Union in 1991 when Boris Yelstin’s administration prioritized relations with South Korea. However, the turn of the century brought ameliorating relations between Russia and the North, initiated by the 2000 Treaty on Friendship, Good-Neighborly Relations and Cooperation in the face of Vladimir Putin’s ascension to the presidency. Since then, Russia has maintained a meticulously curated relationship with the North based on the foreign policy of equidistance; Moscow treads softly in economic and political support of the North, while outwardly encouraging inter-Korean diplomacy for the sake of security and peace. Though the early 2000s saw minimal growth in economic relations between Russia and the DPRK, Russia has more recently thrown the DPRK economic lifelines to insulate it from US-led sanction efforts. In 2012, Russia settled the DPRK’s Soviet-era debt to Russia, one of the most critical inhibitors to revamping Russian-North Korean relations. President Putin ratified the agreement in 2014, which absolved 90% of an $11 billion loan previously granted by the Soviet Union; the remaining $1 billion was invested into a fund designated for joint Russian-North Korean humanitarian projects and industrial development. 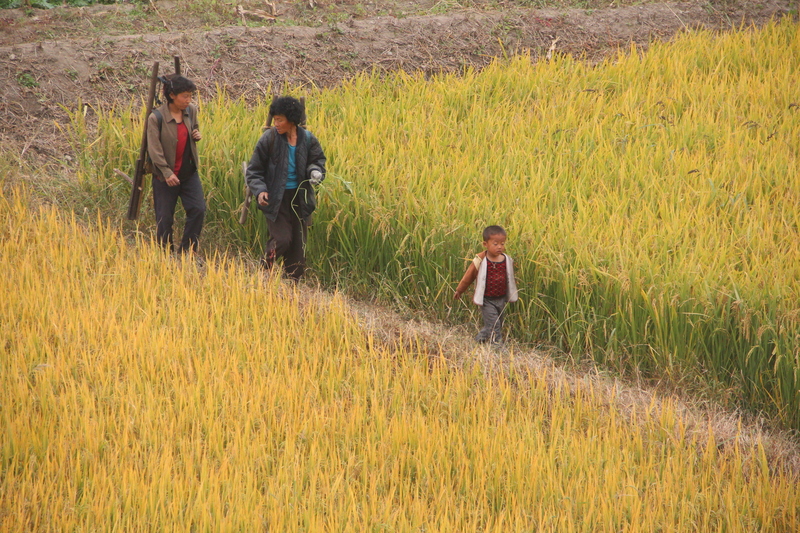 Moreover, as China replaced Russia’s once-hegemonic economic relationship with the DPRK in the early to mid-2000s and consolidated trade with the North, it also proved capable of straining the DPRK’s fragile economy, as it has recently done in accordance with new UN sanctions in response to the North’s incessant nuclear testing. China accounts for about 83% of foreign trade with the North. However, in 2017, trade between the two countries plummeted by 52% compared to the year before. Beijing imported no coal or iron ore and exported no oil products to the North, and as a result, the DPRK’s purchasing power has started to decline. 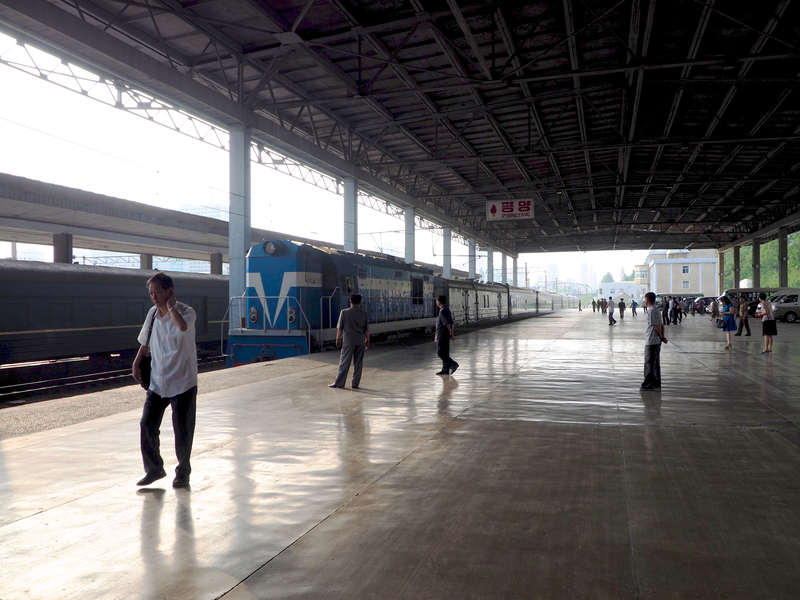 One of the biggest Russian investment projects within North Korea is the Khasan-Rajin railroad, which would connect the North Korean border city Rajin to the Russian port city Khasan, and eventually to the Trans-Siberian railway. Meanwhile, Russia has stepped in as another brotherly option with whom the DPRK could coordinate. In October 2017, a Russian telecommunications company began routing North Korean internet traffic, providing the North with a telecom connection other than that provided by China. On top of that, bilateral trade between Russia and the DRPK more than doubled in the first quarter of 2017. Even though Russia publicly supported tougher economic sanctions on North Korea, perhaps in an effort to improve US-Russian relations and ease Ukraine-related UN sanctions on Russia, “The Kremlin really believes the North Korean leadership should get additional assurances and confidence that the United States is not in the regime change business,” according to Reuters. To substantiate these so-called assurances, Russia has found methods of bypassing UN sanctions by supplying North Korean ships with fuel and other resources through clandestine shipment ploys and misleading public information. Why has Moscow taken the risk of supporting the Kim regime against the wishes of the US, with whom relations are already battered? While it may seem like Russia has secured its equidistance policy between the DPRK, the US, and its regional allies, Moscow’s interests in maintaining the North’s economic lifelines transcend fiscal intentions for regional development. Russia has already been unnerved by the proximity of US-led NATO forces to Russia’s western borders in Europe. The last thing the Kremlin wants is a replication of this movement on its Asian fringe. It is only logical that should the Kim regime fall, Moscow would lose its clout in the region, and US troops would swiftly arrive at Russia’s eastern border. Thus, maintaining the Kim regime has effectively become existential leverage for Russia in the tug of war for regional power and influence, as well as border security against a possible US invasion. The chances of a full-fledged US invasion of the Russian mainland are slim, as both players understand the consequences of mutually assured destruction. Russia nevertheless seeks to buffer any such possibility, however unlikely it may be, with neighboring territory, much like the Soviet Union did following the end of WWII with the annexation of Poland, Hungary, Czechoslovakia, and the Soviet buffer zone. Russia is carefully balancing its moves in the game of risk that it has created for itself. While Putin mildly supports tougher sanctions in line with the UN and in particular, China – a more strategically important economic and political partner – the Kremlin understands that given the precarious situation between the DPRK and China, Russia is in a league of its own. What does this mean for the US-led efforts in the region? Russia seems to support the DPRK’s desire to be recognized as a legitimate actor within the global community – albeit one with nuclear capabilities. The US’s unpredictable approach to dealing with Kim’s nuclear ambitions is perhaps finding itself bound to a framework of diplomacy rather than impetuous military action with Russia playing the devil’s advocate. In fact, Donald Trump’s highly anticipated and unprecedented meeting with Kim Jong Un, scheduled to take place this May, may not only lay out a blueprint for such diplomacy but is perhaps itself the product of external pressure for diplomatic dialogue by international actors like China and Russia. While Kim uses the DPRK’s nuclear capacity as a type of equidistant leverage in its own right, the Kremlin is by no means willing to accept a regime change that will not only undermine its regional authority but also potentially threaten its structural integrity. Therefore, the US will likely have to restructure its North Korean denuclearization policy insofar as it implicates a possible regime upheaval. The historical streak of US-sponsored regime change may finally meet its stalemate.